1946 specification reassurance marker. Manufactured between 1954 and 1961. It is unknown why this relatively recent sign has the older block fonts. 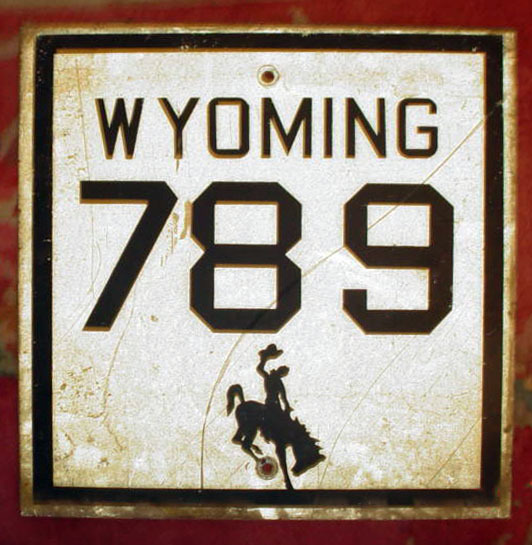 Wyoming must have made flat and embossed signs during the same era, as numerous embossed markers with round fonts exist. Route 789 was commissioned in 1954.